The Divine Service continues with SERVICE OF THE WORD. The purpose of the Service of the Word is to present Christ to the assembled congregation as they prepare to meet him in his Supper. The Service of the Word begins with the song of entrance. During this song of entrance the pastor makes his entrance to the chancel. The chancel is the area immediately around the altar–the center and symbol of the Lord’s presence among His people. While a hymn or psalm can be used as the song of entrance, the most common beginning is found in the use of the Introit. The Introit is a collection of passages from scripture (usually the Psalms) that set the tone for worship. The verses chosen are different each Sunday and reflect the theme of the Gospel reading to come and serves as an introduction to the Divine Service that follows. Because the texts change each Sunday, the Introit is the first Proper of the Divine Service. Latin introitus, entrance, to go in. The historical purpose of the Introit was to bring the worshipers into the church and allow those who would lead and assist in the liturgy to take their places. Most Introits are taken from Psalms, though there exist some historic introit texts from Proverbs, Isaiah, the New Testament and even the Apocrypha. Most often the choice of Psalm has something in common with the readings that will be featured later in the Divine Service. The choir sang the psalm text, and the congregation repeated an antiphon after each psalm verse or group of verses. The antiphon for the introit was typically a verse of scripture that would express the theme of the season, feast, or occasion of the day. The introit continued as long as needed to accompany the entrance procession. After reaching the altar, the officiant would signal the choir to stop. 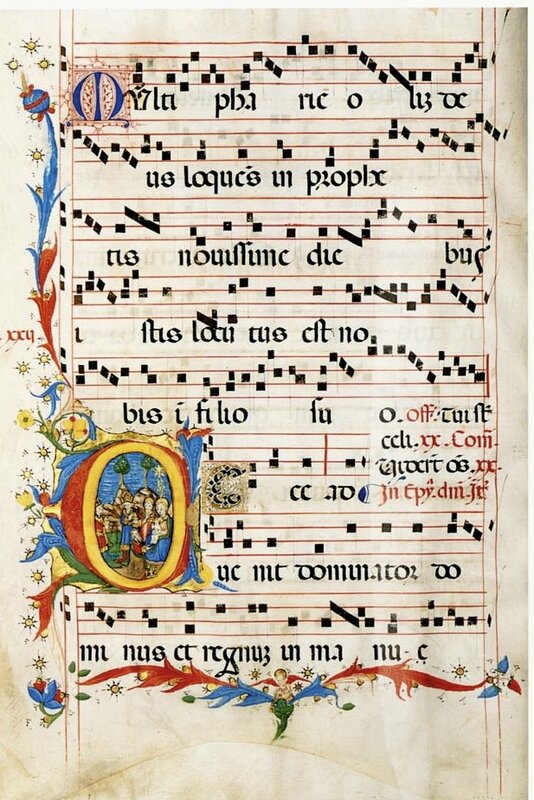 The conclusion of the Introit was signaled by the singing of the Gloria Patri, or “Glory be to the Father” which has become a traditional liturgical conclusion for any reading or singing of the Psalms. It is a venerable custom to bow the head in “due and lowly” at the Gloria Patri and at the Name of Jesus throughout the service. 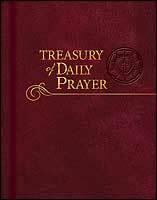 The Gloria Patri, sometimes called the Little Doxology has doctrinal as well as devotional value. It connects the Old Testament texts with the fulfillment in the New Testament. It is regularly added to every reading or singing of the Psalms, or poritons of the Psalms, in the Divine Service. There is evidence that Celestine I (d. 432) originated the practice of the Introit (various portions of the liturgy are attributed to him by Roman Catholic scholarship), nevertheless it is seen regularized in structure and in its use in the liturgy by the time of Gregory I (ca. 540-604). By the late middle ages, the introit was reduced to an antiphon, the first verse of the chosen psalm, and the Gloria Patri. In his reform of the Mass, Luther preferred use of whole psalms for the introit instead of just one verse. This was not widely adopted. The 1888 Common Service Book, which seems to be referenced as a pattern for most subsequent English orders of worship, used the classic sixteenth-century (historic) introits consisting of short psalms with antiphons. This remains the predominate pattern used in our liturgy today. Historically the Introit has served another purpose: the names of particular Sundays of the Church Year, are derived from the first word or phrase of the Introit. 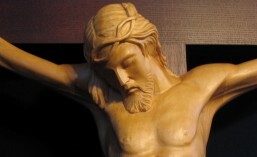 For example, this is why the first Sunday after Easter Sunday, though having no official liturgical name, is colloquially labeled “Quasimodogeniti,” or as we used to say as children “Quasimodo Sunday,” as the first phrase of the Introit is “Quasi modo geniti infantes. . .” (“As newborn babes. . . .”). Even though Latin is no longer used widely in our liturgy, the traditional names serve a purpose in the organization of the calendar based upon the historic one-year lectionary. 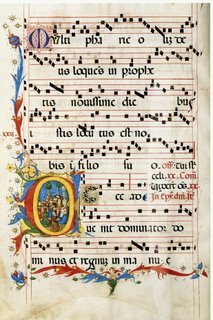 Since the texts are taken from the Psalms, which were the hymns of the Old Testament, it is a common practice to sing, or chant, the Introit. During the singing of the Introit, the ministers enter the altar area and go to their places. The officiant and assisting ministers stand facing the altar as one of the congregation. 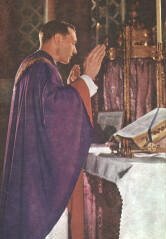 Even if the local custom is for the minister, or minister and congregation, to read the introit, this is done with the minister facing the altar because the introit is considered to be devotional in nature. It is appropriate for the choir to sing or chant the Introit. It can also be that the congregation may sing the antiphon and the choir the Psalm verses. Whenever the congregation has been involved in the singing or speaking of the Introit, they should unite with ministers and choir in the Gloria Patri. It is difficult to speak of the movement and position of the officiant during the Introit in any concrete or universal way. I would dare say that for the last 30 years most Lutheran congregations are used to seeing the pastor approach the altar during the singing of introit just before the Gloria Patri and then prepare to lead the Service of the Word from the altar itself. However, an older rubric is becoming popular again and is showing up in the contemporary Lutheran manuals on the celebration of the Divine Service. This ‘new’ old rubric posits that during the Service of the Word the altar is not yet the focus of attention. That attention rightly comes with the Service of Holy Communion. So instead of leading the Service of the Word from the altar, all the ministers are directed to go to their chairs and the Officiant leads the liturgy from a prie dieu, or prayer desk, positioned before him, or from the ambo, or reading desk, at the side of the chancel.